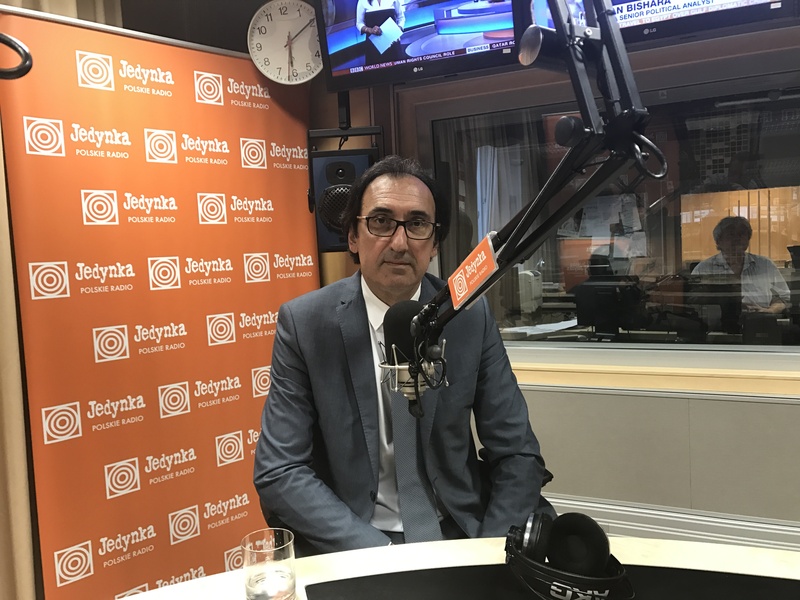 Ziyad Raoof was a guest in radio broadcast „Więcej Świata” in the first channel of Polish public radio station. The main topic of the interview was independence referendum that will take place in Kurdistan September 25, 2017. KRG representative informed about preparations for the referendum- establishing referendal commission and negotiations with Baghdad and international community. In reply to an answer about support in Kurdistan for this initiative Ziyad Raoof emphasized that vast majority is for independence, because another chance and beneficial state of affairs in the Middle East may be in the next hundred years. Host of the live broadcast Michał Żakowski asked also about reaction of Iraqi authorities, Turkey and West. Ziyad Raoof answered that negotiations are in progress. He is convinced that many countries will recognize Kurdish independence. KRG Representative mentioned that US, GB and Germany have just signed agreement with Kurdistan Regional Government concerning modernization of Kurdish army. Asked whether the referendum would also cover territories outside the KRG administration, Ziyad Raoof recalled that there are historical Kurdish lands, after seizure by ISIS liberated by Peshmerga. In addition, according to the unaccomplished article of the Iraqi constitution, the inhabitants of these lands long time ago shold decide about their affiliation.